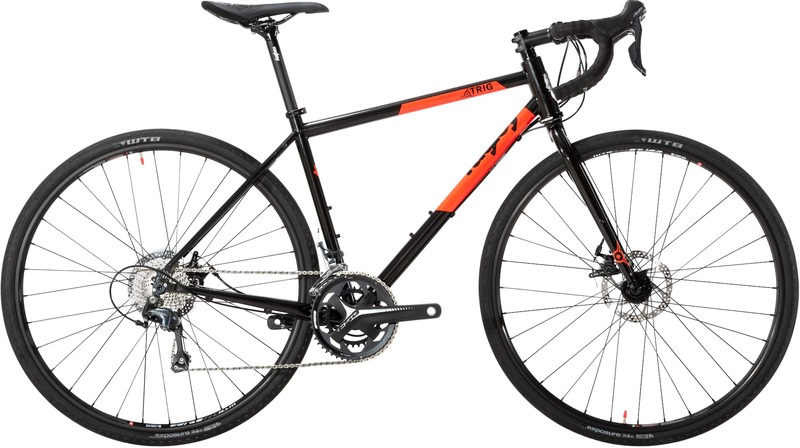 You may have noticed a few gravel bikes with what appear to be bottle boss mounts on the top tube recently. While not exactly prolific, they are certainly popping up a little more frequently. The Bombtrack Hook EXT that we currently have on long term test sports them, for example. 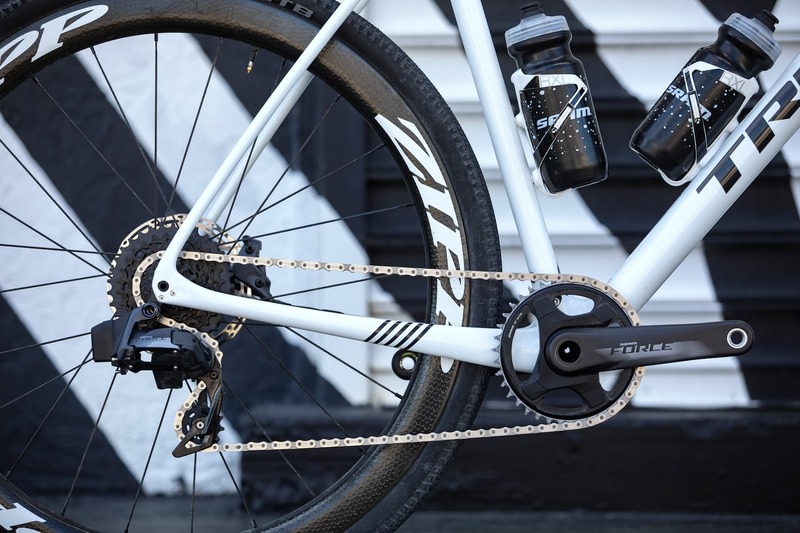 The mounts aren’t actually for a bottle cage (they are too close to the stem to allow a bottle to fit anyway), but for a new generation of direct-mount top tube pouches. 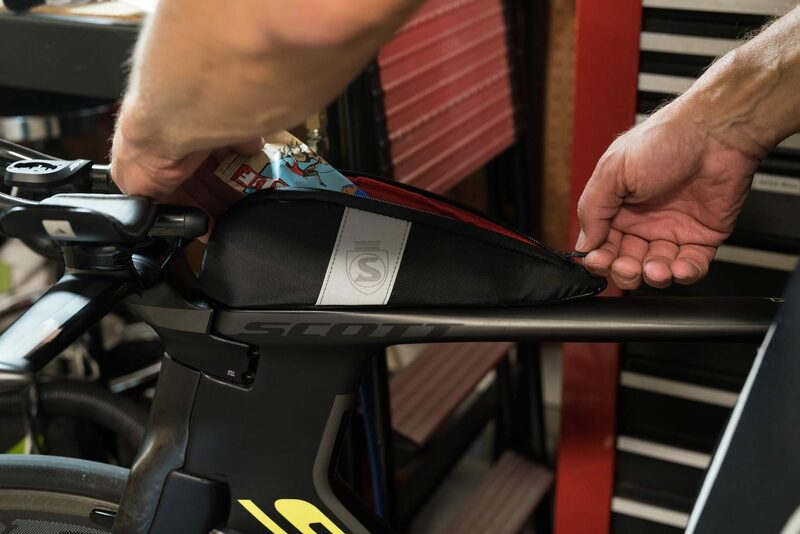 American firm, Silca is best known for its drool-worthy posh tools and pumps, but it has decided to join the bike luggage game with its take on the direct mount top tube bag – the Speed Capsule TT. As you’ll have guessed, it bolts directly to the frame using those bosses. 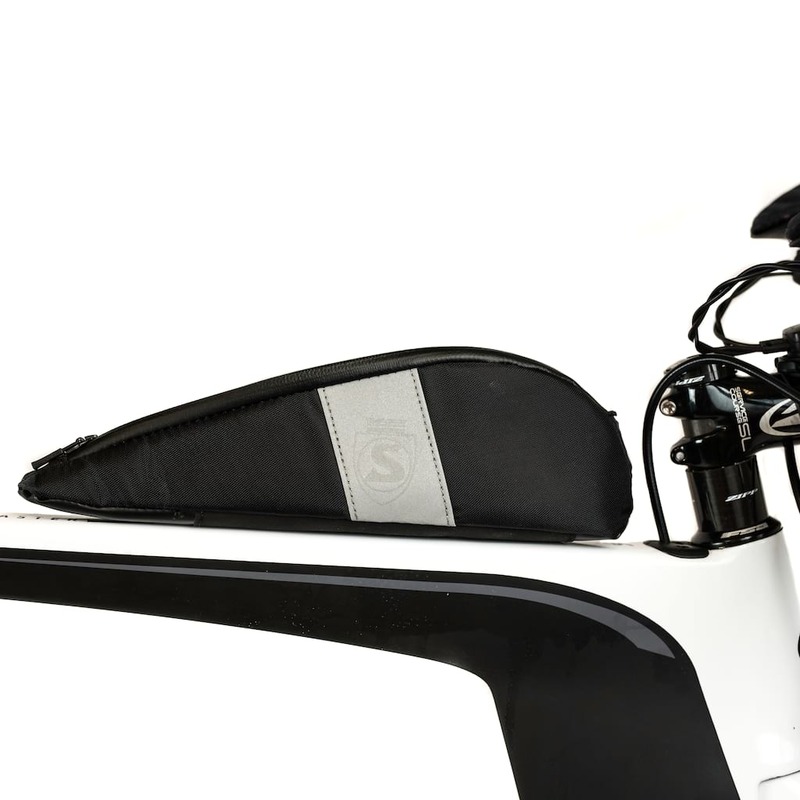 Silca has also worked hard to build a bit of structural rigidity to the bag, making it easier to access with one hand while still riding. 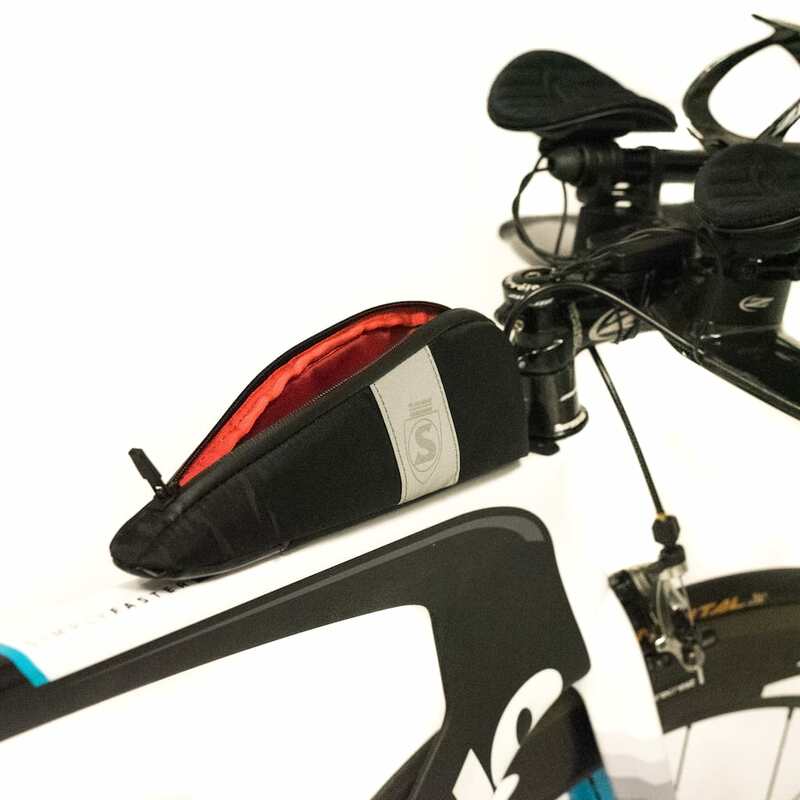 We’ve seen plenty of top tube bags that are a bit floppy when full, which as well as being annoying, does limit their usefulness for on-the-go feeding. The Speed Capsule also comes with reflective side panels and a weather resistant zip. You’ll have noticed that Silca is marketing the Speed Capsule TT for those of us who like a swim before their ride and a run afterwards. 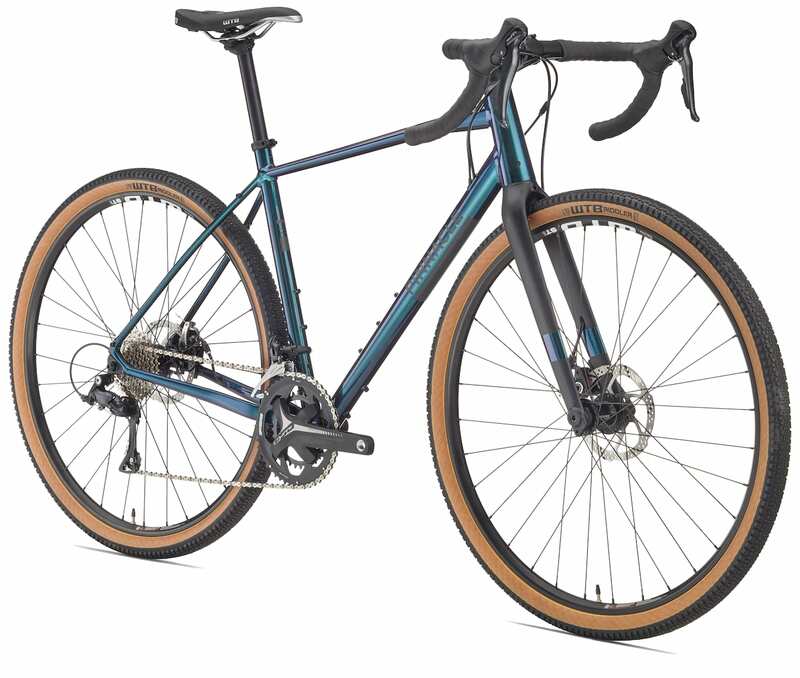 We reckon it is missing a trick – easy access storage for snacks is a bonus on long gravel rides, and the extra rigidity should help keep everything in shape when bouncing along offroad (we have spent entire bikepacking trips righting a floppy top tube bag). Wonder how many pork pies it holds? The SILCA Speed Capsule TT is available now, the suggested retail price is $34 – we are checking UK pricing and availability.